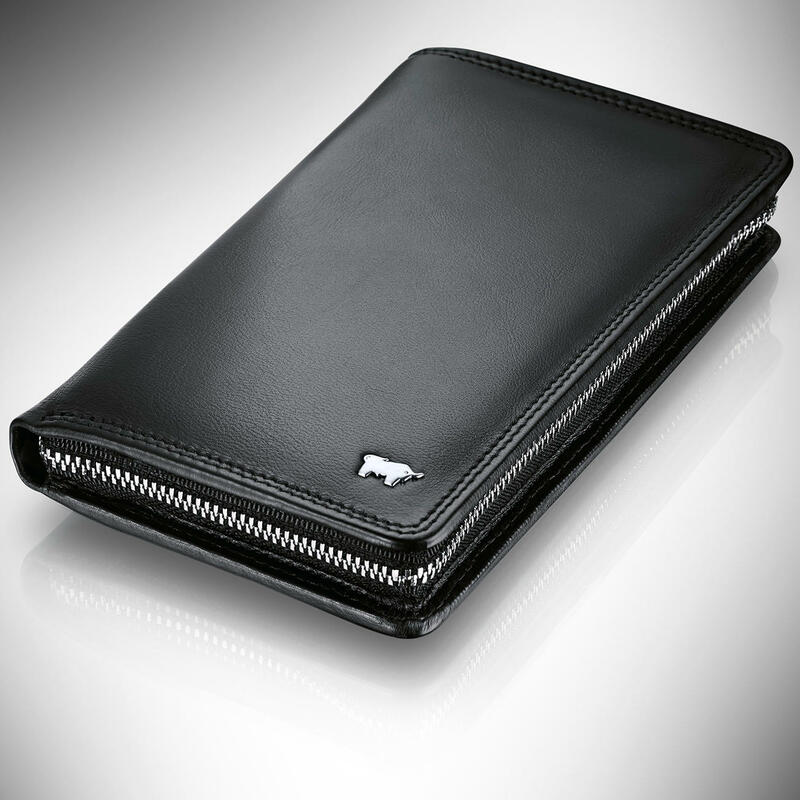 Made of soft nappa leather. Manufactured by the traditional German company Braun Büffel. Keep all your valuables close to you and well protected – and right at hand when you need them. Instead of carrying 2 or 3 different cases you can now carry everything in just one. Measuring a mere 16.5cm (6.5") in height and 10cm (3.9") in width, it will snugly fit into the inside pocket of any jacket or coat. Place it on the table in restaurants or cafes so your mobile phone case is right where you can see it at all times. (Far safer than a large bag on the floor at your side). This wallet is easy to unzip and opens up flat. 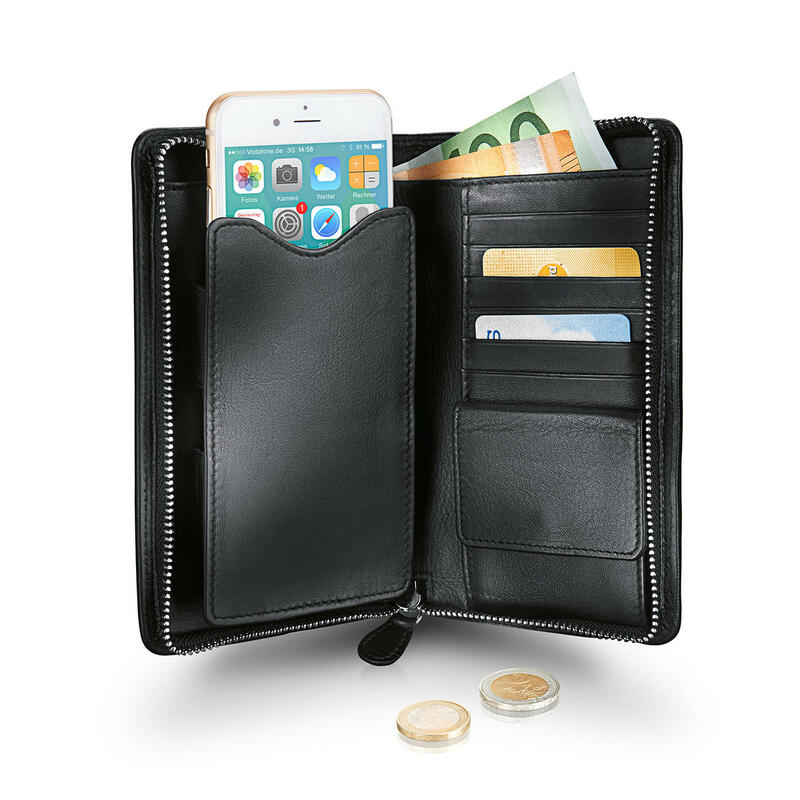 Everything is at your fingertips – the mobile case, 2 generous pockets for bank notes and documents, and 8 card slots. The coin pocket has a handy snap fastener. Black nappa cowhide. Measures 16.5 x 10 x 2.8cm (6.5" x 3.9" x 1.1") (H x L x W). Weighs 160g (5.6 oz).